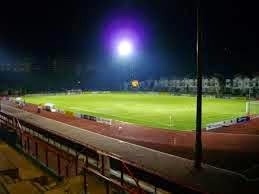 Warriors FC are a professional football club in Singapore who were formed in 1975 as the Singapore Armed Forces Sports Association (SAFSA) football side to offer competitive football to those serving in the armed forces. The team had great success in the old National League as they lifted the Presidents Cup in their first year. The feat was repeated in 1978 as well as the league title. In 1981 SAFSA lifted the league crown without losing a single game. Another President Cup was collected in 1984, and once again two years later to complete another ‘double’ along with the National League. In 1990 the club progressed to the newly formed S. League, where they were one of the eight founder members. 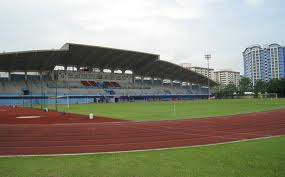 As Singapore Armed Forces FC the club won the S. League in 1997 and 1998. Further titles arrived in 2000 and 2002. Richard Bok arrived as Head Coach in 2006 to carry out a superb spell at the helm as more championships were collected in 2006, 2007, 2008 and 2009. 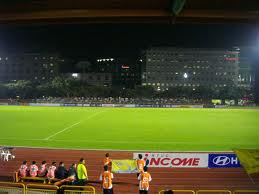 The Singapore Cup was also added in 2007 and 2008 as the club dominated domestic proceedings. Warriors also reached the quarter final stage of the Asia Champions League on a couple of occasions. Yet another Singapore Cup was raised in 2012. A year later Singapore Armed Forces FC changed their name to Warriors FC. In 2014 the side led by English coach Alex Weaver, went on to complete their ninth S. League title win. Warriors FC will play in the S. League in the 2015 season. It was just after lunch on a scorching humid day in Singapore. While I was loving the adventure of a days ground hopping, my body was rapidly beginning to hurt as I alighted from a train on the SMRT at Yew Tee in the furthest north east of the island. 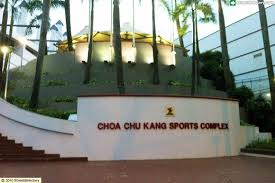 Choa Chu Kang Stadium looked just that bit too far on foot, so I was delighted to find that the 307 bus would drop me right outside. As with all my venues for the day, there was a gate open as the main arena backed onto a sports complex. The only real spectator facilities came by way of a fantastic raised stand which had a soaring curved arched roof, rising over the centre section. The pitch was surrounded by an athletics track. Any other room for fans was by courtesy of flat open standing. It was another venue with a sign warning competitors to suspend their sport when the lightening siren sounded! Behind the stand was a modern swimming complex and facilities for tennis, basketball, badminton as well as a gym and dance studio. Areas for eating and drinking were also provided along with sports shops. 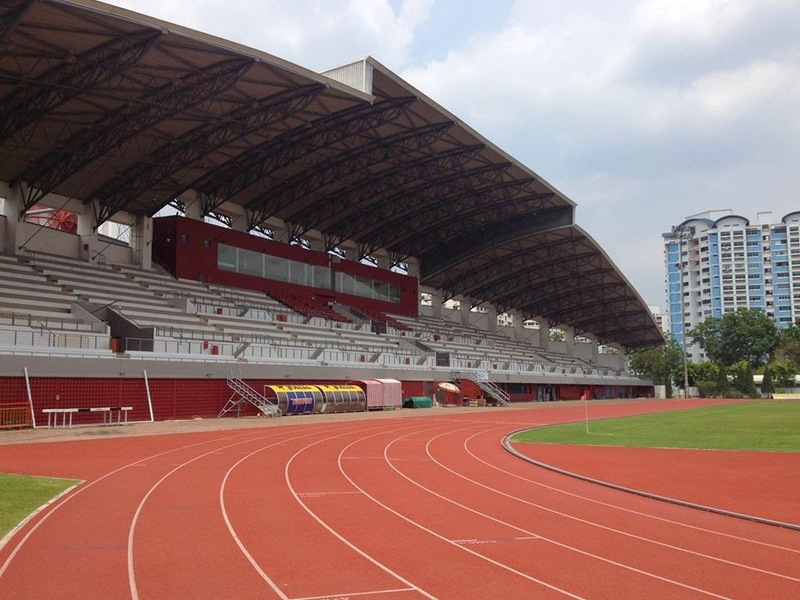 It really was yet another example in Singapore of how community sports facilities should be. I took the short walk around the corner onto the main Choa Chu Kung Drive to await the next 307 bus down to the station of the same name. I was ready for more serious rehydration. Unfortunately owing to an IT disaster on my return to the UK, I lost the majority of my pictures from Singapore, so several images on this page have been downloaded from the internet.